The COLorFAX program transforms the physical landscape of the Lakewood West Colfax corridor through mural art. Mural art helps to beautify an area, creates a sense of place and instills community pride, all while providing free outdoor art to the general public. Looking for a mural on your walls? Contact info@40westarts.org for more details. 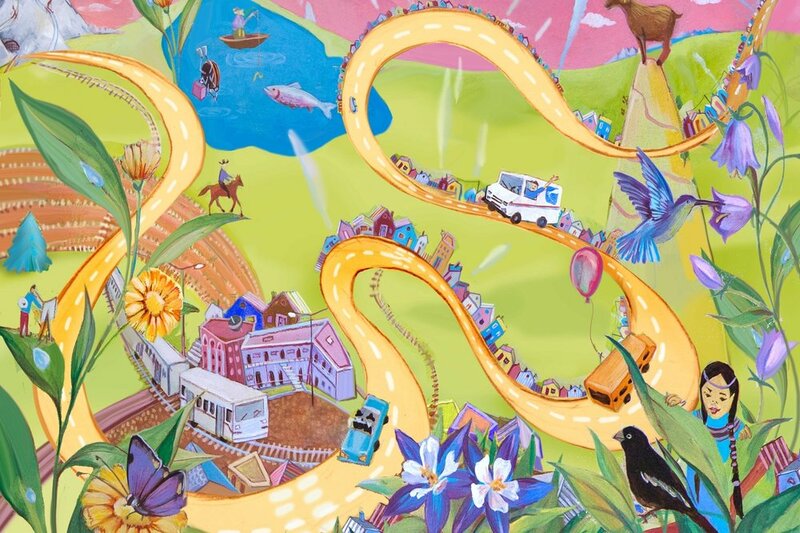 Created in 2016, this mural tells the story of Colorado through colorful imagery. This mural taps into the different forms of flight from birds to gliders. This mural is located at the historic Rocky Mountain College of Art + Design campus.